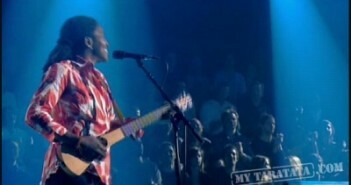 Tracy Chapman will play at the House of Blues Boston, in Boston, MA on Friday, July 31, 2009 at 8:00 p.m. Tickets on sale Friday, June 19 at 10 a.m.
Tracy Chapman will play at the Michigan Theatre, in Ann Arbor, MI on Tuesday, August 11, 2009 at 7:30 p.m. Tickets on sale Saturday, June 20 at 10 a.m.
Tracy Chapman US Tour Coming Soon!! ¿De que habla Tracy Chapman en sus canciones? Briliant spanish radio show that translates English speaking songs into Spanish so that people that don’t speak English can understand the lyrics of Tracy Chapman first two albums. Tracy Chapman to perform at the “New Direction for California” kick off fundraiser event by ActBlue to support local Demorats candidates in San Francisco on May 21st, 2009. 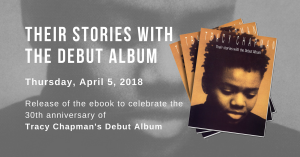 Tracy Chapman will perform at the $150,000 Goldman Environmental Prize ceremony in San Francisco on Monday April 20, 2009: 7 activists from 6 nations will receive the world’s largest, most prestigious award for grassroots activism. 3 years after her first performance at the Paleo Festival Tracy Chapman is back again in the heart of Switzerland to perform in one of the greatest european festivals. The official program will announced and tickets will be on sale on April 16, 2009. Tracy will open the famous Nice Jazz Festival on July 18, 2009 on the scene Jardin. Tickets are on sale since this morning. 3 shows in Germany have just been added, Tracy Chapman will play in Halle, Köln and Hamburg in July 2009. Book your tickets before it’s too late! In this interview given the parisian newspaper few days ago in Lyon (december 05) but published today (december 18), we learn that Tracy Chapman has been invited to sing for Obama on his inauguration day on January 20, 2009. Singer James Vincent McMorrow from Dublin opened for Tracy Chapman at the Olympia Theatre on December 8, 9 & 10. He’s just been invited to support Tracy on the rest of her UK tour. On November 16 at 11pm (GMT + 1 h) the Georges Lang radio show “Saga” on the french radio station RTL will be dedicated to Tracy Chapman. 2 hours of a biography, songs from albums, and above all interviews from 2002 + 2008 and apparently some live sessions from 2002, maybe 2008. 2nd Webisode released by Atlantic Records: Tracy talks about the musicians who played on the new record.